Bonsai - Japanese culture in hungarian gardens. We aim to give help in developing the domestic gardenculture with the examples shown here about bonsai and shape-tree (big bonsai). Bonsai Blog: about the news in Hungarian. Leafy trees : Bonsaies made of leafy trees. Pictures of the collection of leafy bonsai trees. Gallery. The size and color of bonsai pots are in relation with the trees. Evergreens : Bonsaies made of evergreens. Evergreen bonsai - usually in brown pot. Bonsai woods made of evergreens. Gallery. Replantations : In the bonsai art not really used style the replantation. The combination of a dead and alive tree similar just like natural. Gallery. Pre-bonsaies : Pre bonsaies, garden art. Trees without carving and wiring. The state between natural and the bonsai. Garden shape-trees : Big bonsai. Tree size bonsaies they are the beauty of gardens. Shaped trees can be made of any trees. Garden pre-materials : Big trees under construction for big garden bonsaies. The technology of garden shape trees is the same like of the bonsaies. Garden art. Gallery. Light and shadow : Bonsai art. Garden art. The vision of the bonsai and the harmony. Gallery. Shaping : Acer silvestris bonsai before shaping. We are planning to establish a bonsai club. The members of the club may share with each other their experiences in a friendly atmosphere and may recieve trainings, instructions. No matter if someone is a beginner or would just like to start this adventure and form his life's first bonsai plant - get in contact with us, and write us a letter, e-mail. Please write what kind of plants, bonsai style you like or would like, do you have tools for that and what help would you need. When you do this it's easier to keep in contact as sooner or later we have to ask these questions anyway. So please do not hesitate to come forward in the bonsai club. 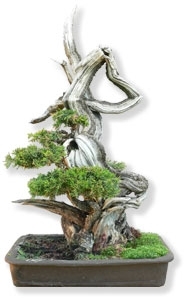 We plan to provide all kinds of properties for domestic lovers of bonsai. E.g: bonsai pot, bonsai tool, bonsai scissors, bough-cutter, bonsai-wire, bonsai soil, akadama, bonsai and commodity trading. 2030 Erd, Esztergalyos str. 26. From M7 highway at 22 km at he "Regionalis hulladéklerakó" turn down from the highway. For help please see the map on the website. Have fun while you browse!